MONTREAL – With a great season of hockey in the bank and a new northeast division banner to add to the collection, we took a look at a few current Habs who won titles, hoisted trophies and became champions long before taking their first strides in the NHL. Respected by Habs fans across the globe as one of the club’s grittiest defensive pillars ever-willing to block shots, make tough plays and sacrifice his body for the good of the team, Josh Gorges took the first steps towards becoming the player he is today as a member of the Kelowna Rockets. Born and raised in Kelowna, BC, Gorges not only got the chance to play for his hometown team in the Juniors, but also had the chance to captain them to the first Memorial Cup championship in team history. 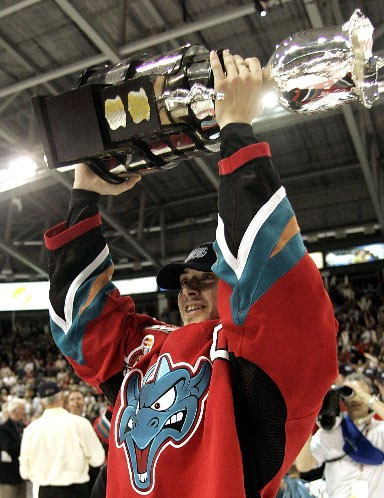 The 28-year-old blue-liner took a moment to look back and share some thoughts on what he took away from his journey to the top when he claimed the Memorial Cup in 2004. Nine years later, while the league and his teammates may have changed, Gorges still continues to apply same the philosophy that helped the Rockets hoist the Cup to what has become a successful NHL career. A team-leader both in the room and on the ice, the Kelowna native is happy to make all the experience he’s gathered to date available for any Habs rookies who are interested in taking advantage of it. “You learn from all experiences, good and bad. When you’ve gone through playoff runs and getting to championship games, you get to know the commitment it takes, the level of intensity and the rollercoaster ride it can be to get to the end,” concluded Gorges. “Then it’s about sharing those experiences and helping shed light for some of the guys that haven’t been through it, on what it’s like and what it takes to go all the way.